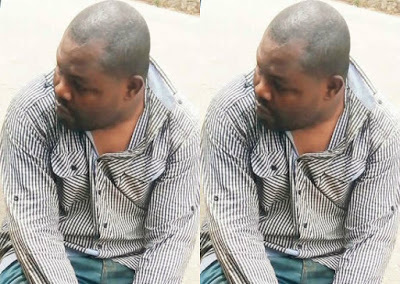 The state Commissioner of Police, Abiodun Odude, said the suspect charged his victims some certain amount of money and promised to provide them with jobs at the retailing company. According to the CP, the suspect usually issued his victims fake appointment letters after they completed the payment, and went into hiding. “The suspect, who posed as the marketing manager of Shoprite, defrauded 28 complainants by promising them jobs that never existed. He obtained various sums of money from them and to convince them, he issued several fake appointment letters on the letterhead of the multi-national company. “I am a building engineer and I also handle interior decoration. He took me there (Shoprite) and we went round together. He said some shops needed repairs and new ones needed to be constructed. He also said extension work would soon begin at the complex. “He gave me the impression that he was in charge of contracting the jobs out as a manager of the company. I believed him because things were hard for me and I needed a job to feed my family. The economy of the country limits job offers for artisans like me because people are concerned with spending money on food, school fees and other more important things than building houses or fixing interiors of their houses. “He later entered a shop and said he wanted to discuss with someone. I thought we were to enter together, but he asked me to wait outside. The Commissioner of Police said the suspect would be charged to court after investigations are concluded.